What is cement tile? What are differences between the modern cement tiles and the old cement tiles? Cement tiles are handmade, aesthetic tiles, made of the environmentally friendly materials such as: cement, fine sand, natural pigment. 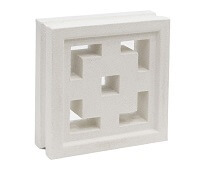 The modern cement tile is to elevate, honor the value of the old cement tile. Thanks to the contribution and spread of designers, the modernity of technology and colors, current cement tiles are becoming more varied and diverse. The current cement tiles are not only normal floor products, but also expressed as the products of art, decoration, and wisdom. What are the advantages of cement tiles? **Emotional value: The cement tiles can express characters, styles, coloration's of users, which is easily meet their demand in changing suitable colors, custom patterns... It can create the decoration and highlight for projects. **Easy Care: Cement tile is extremely low maintenance. Pretty much all you ever need to do to take care of it is mop with water and a mild soap. 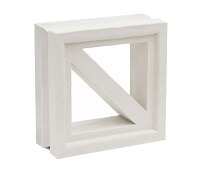 **Durable: With a bit of care, cement tile can last for generations. **Technical characteristics: The cement tile has long-term use, and be more beautiful by time. Cement tiles have a high thermal mass meaning they hold their temperature well. Installing a cement tile floor can help keep your home cool in the summer and warm in the winter—this helps reduce your air conditioning costs in hot weather and heating costs in the cold weather! **Versatile: Another benefit of cement tile is that it is very versatile. 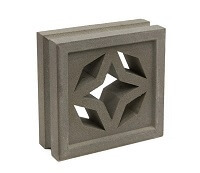 This makes it an ideal choice for connecting indoor and outdoor living areas as the tile is suitable for both environments. Cement tile can also be used on countertops, backsplashes, fireplace surrounds, and accent walls for even more design flexibility. What are the common applications of cement tiles? Because of the elegant design options, cement tiles are one of the few tiled surfaces that looks good in formal settings like living rooms and dining rooms. The ease of care makes them a great choice for dining rooms as well. In tropical countries, cement tiles are often used in every room in the house. 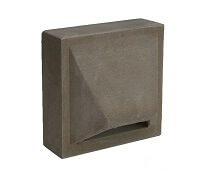 They are also perfectly suited for foyers in period homes. Cement tile is often continued into closets, for the most seamless appearance. One great cost-saving idea is to use single-color tile as a border in one of the colors used in your field tiles, then continue the solid-color tile into the closet. 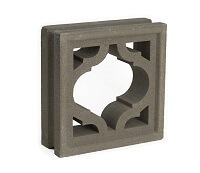 Can cement tiles used for bathrooms/ toilets? Are there any special conditions for maintenance/construction? Yes, they can be used for all floor & wall applications. However, special care shoud be applied for outside applications to avoid thermal shock. Please do not use any acids or bleach chemicals to clean the cement tiles. 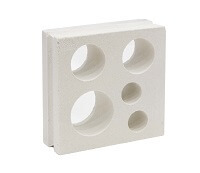 Can the cement tiles be used in outside? Yes, they can. However, it is not recommended and needed to have the special sealer and caring. With all outdoor applications, please note that the fading color may be happened due to the UV from direct sunlight. Beside, there are many tiny cracks on the tile surface may be appeared by time. How is the slipperiness of cement tiles? In the dry condition, cement tile has the best and safest slipperiness compare with other normal floor tiles. If the wet condition, it has the same slipperiness with other tiles. Are the cement tiles anti-stain? Viettiles is supplying the high quality pre-sealed cement tile, which offer superior waterproofing ability compared to other suppliers. However, accidents happen and the tiles even after sealing may get stained. Stains should be treated as soon as possible. Soda, wine, salad dressings, food spills, etc. should not be left to sit on the tile as they can eventually penetrate through the sealer and stain the tile. Before attempting to remove the stain take time to understand what the stain is. NOTE: Never use strong acid cleaners on the tiles. 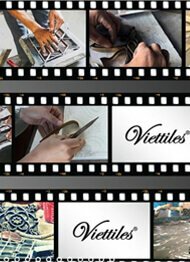 What are the differences between Viettiles cement tiles compared to other manufacturers? Viettiles has 2 big factories with the capacity of 25 containers per month, we can guarantee for the production time of 30 working days per 20ft container order. With the competitive advantage on product quality, fast service, fast production time, various colors - sizes - shapes, we believe that you will be satisfied to our product once the first trial order. Can Viettiles make the custom pattern, size? Making the customized tile is one of the big advantage of cement tile product as well as Viettiles. Please send us your expected pattern/size via email, then we can check and advise more in details. How long does it take to make one new sample? Available pattern: 3-5 days/ sample. New pattern: 7-10 days/ sample. However, we can shorten production time in case of urgent request. How to solve the stain cause during installation process? Please quickly to clean the stain, use normal water to clean. After that, using the fine sandpaper to rub and re-cover the surface by the suitable sealer. What are the white powder sometime appear on the tile surface? It is the efflorescence which happended naturally for almost cement products. or abrasion with a scrub pad or glass paper will often solve the problem. How long does the tile need to be dried completely? Due to the non-burnt product made of natural materials such as sand, cement, the cement tile normally takes 28 to 30 days to be dried completely. Why does the color variation slightly happend between the cement tiles? Each encaustic tile is made individually, and slight color variations can occur. The variation in color and tone that is an integeral part of the nature of cement tile makes a richly colored floor.